Last week's chess puzzle proved rather difficult. 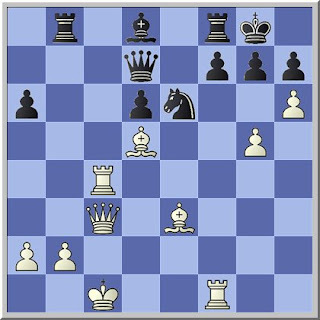 It was Alexei Shirov on the wrong end of a super move from Lukin at Daugavpils 1989. The move that Lukin found was the 'bayonet thrust' 1 g6!! creating a very pretty picture with the 5 pawns adjacent to each other.